BSc in Polymer Chemistry: NEW PROGRAMME! BSc. Polymer chemistry at DeKUT is an undergraduate chemistry course which deals with the study of polymers both natural and synthetic. Polymer chemistry is a sub-discipline of chemistry that focuses on the chemical synthesis, structure, chemical and physical properties of long chain molecules and macromolecules. Materials that are typically classified as polymers include: plastics, paints, rubber, foams, adhesives, sealants, varnishes and many more. These materials, today, fully control the high technology era we life in to such an extent that it has become impossible to live life as we know now, without these products. 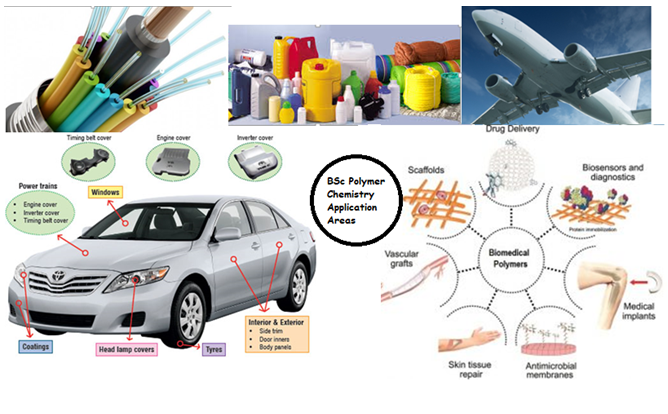 Industries that are totally dependent on polymers include information technology, aerospace, music, clothing, medical, motor manufacturing, building, packaging, and many more. What does a Polymer Chemist do? A Polymer chemist is an applied scientist in the true sense of the word and the study field offers a diverse scope of opportunities under its umbrella. There are opportunities in production and production management of manufactured articles such as tyres, moulded plastic articles, paints etc. Polymer chemists are also found in the technical divisions of companies were design of manufactured products and the polymer mixtures to produce them are done. Quality control in manufacturing of above-mentioned articles is another opportunity. 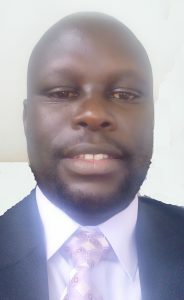 Problem solving, research and consultative work using amongst other skills, analytical techniques for polymer analysis holds further opportunity. Marketing of polymer raw materials and manufactured products is another direction that can offer a very rewarding career in the polymer industry. There is also vast potential for entrepreneurial activities, the setting up of an own business, manufacturing polymeric goods such as moulded plastic or rubber articles etc. With this training as background, the motor-manufacturing and related supply- and service-industries such as the paint, tyre and plastic-component industries. A minimum Mean Grade of C+ and a minimum grade of C+ in the Chemistry and Mathematics/Physics. At Least two principal passes, one which must be in Chemistry and one subsidiary. Holders of a KNEC Diploma or its equivalent/Higher National Diploma qualifications in Polymer Chemistry or any related field. A holder of any other qualifications recognized by the Senate as equivalent to (i), (ii) and (iii) above. Duration the duration of the Bachelor of Science in polymer chemistry programme shall be four (4) academic years.